Parents have enough to worry about. When you hand your child an iPhone or iPad, the list of worries only mounts. What sites are they visiting? Are they spending too much time in front of their iPad? Have they inadvertently spent hundreds, if not thousands of dollars, making in-app purchases? While parental controls have been available, parents often find them difficult to use and time consuming to manage, and with the proliferation of iOS mobile devices parents remain anxious about striking the right balance between access and control when it comes to curious young eyes always connected to the online world. 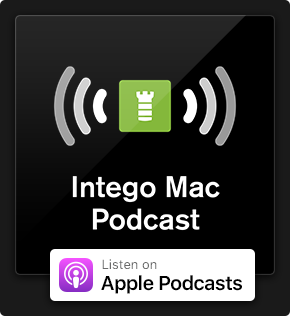 With this in mind, the Mac security experts at Intego have spent the past year building a parental control solution specifically for iOS devices — one that addresses the most frequent parenting concerns (e.g. preventing app purchases, restricting access to apps based on age, and more) — with a deep focus on usability. 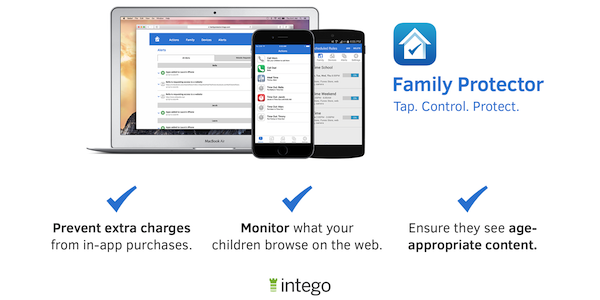 It is with great pleasure to introduce to you Family Protector, Intego's new iOS mobile device parental controls designed to help you manage your family's Apple iPhone, iPad, and iPod Touch devices. We created Family Protector to help you set age-appropriate limits on device and app usage, prevent accidental app and in-app purchases, monitor Web activities, and easily control access to content based on the age of your children. "As every parent can attest, technology is both a blessing and a curse. As mobile devices and apps become more pervasive in our lives, parents can find themselves worrying more about what their children might be exposed. We listened closely to what parents were looking for in a parental control product and believe we found just the right balance between control and flexibility. With Family Protector, parents can easily worry-proof all of their iOS devices and be assured that their children are safe while maintaining a trusting relationship with their children." — Jeff Erwin, President & CEO of Intego. Family Protector is easy to set up, so you can begin to manage your family's iOS mobile devices in just minutes. After signing up through our registration page, the Family Protector Web Admin, you can quickly install Family Protector across all of your family's iOS devices and use the on-screen guide to create custom settings based on a variety of factors — such as the age of your children, the number of devices they use, and the desired level of protection. If you're a parent with more than one kid and more than one iOS device, keeping tabs on what they're doing online can be a serious challenge. This is why Family Protector gives you control of the iPhone and iPads in your household, enabling you to easily set age-appropriate limits, stop in-app purchases, and monitor online usage. Some of our competitors require you to jailbreak your kid's devices. This is not only complicated, it also voids your warranty and prevents you from being able to update your iOS device when new software is released. Additionally, if you jailbreak your iPhone, it's a major security risk! That's one step forward, two steps back. Family Protector takes advantage of the features that are native to Apple's iOS, and brings them together in a way that is easy for you to use without having to physically hold the device you're concerned about. Need to set restrictions on your child's device while they're away at school? No problem. You can manage all of your family's devices from the Family Protector Web Admin. You can also manage your children's accounts from any Web browser or through our iOS admin app or Android admin app. It's easy! Simply sign up for an account through the Family Protector Web Admin, and then add your kid's profile and install the Family Protector certificate onto your child's phone. You can quickly install Family Protector across all of your family's iOS devices and use the on-screen guide to create custom settings based on a variety of factors — such as the age of your children, the number of devices they use, and the desired level of protection. Family Protector is only available in English at this time and costs $5 per month (€6.00, £4.50 and ¥ 750), and covers up to 15 iOS devices and an unlimited number of family administrators (e.g. parents or guardians). Unlike most other parental control products, Family Protector does not require an annual subscription and can be cancelled at any time. A full feature 14-day free trial is available for all users. Take Family Protector for a spin — get your 14 day free trial started today! You must first create a Family Protector account before you can use the Admin apps. 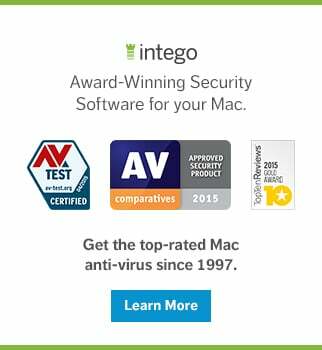 This entry was posted in Intego, Recommended, Software & Apps and tagged Family Protector, iOS, Mobile Devices, parental controls. Bookmark the permalink. Is it possible to turn time out on from a daily schedule – for example during bedtime hours? If I only want my child to be using an app that is required for school homework, but don’t want him wondering off to anything else, is that possible with this software? I just got the iOS 9 and my Parental Controls are on and I don’t have the new emojis, how can I send a request to turn them on ?